Do you partake in shopping this time of year? I have never been one to brave the crowds, but when I can shop from the comfort of my couch it just makes it almost too easy. West Elm has their Buy More Save More sale (15-30% off) going on now and it is seriously the best time to push “Add to Cart” on a piece of furniture or home decor that you’ve contemplating. CB2 has 15% off everything, including my favorite weekend find that I posted about earlier this week. J.Crew is my go-to spot for wardrobe staples, and with a couple of upcoming events I’ll be using their 40% sale to add a few dressier pieces to my closet. Paper Source is offering up to 50% off, which is kind of a dream come true for this paper-obsessed gal. 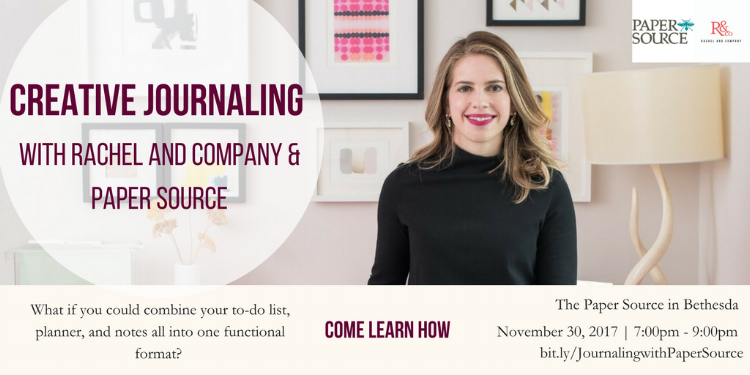 Speaking of...did you know that I’m hosting a Creative Journaling event next week at the Paper Source? For all of the details and to grab your ticket just click here. I can’t wait! Space is limited, so grab your ticket today!